Finding the right equipment for your tank is not an easy job and you have to spend quite some time researching and reading different opinions. You need to make sure every device you use is suitable for your tank and you will not have to replace it after a few weeks due to its lack of durability. An aquatic pump is a necessity if you are trying to take your tank to the next level. A pump will keep the water moving and will introduce oxygen into the water so your fish and plants can grow in a proper way. The better the pump it is, the better the other equipment will function and the happier your fish will be. 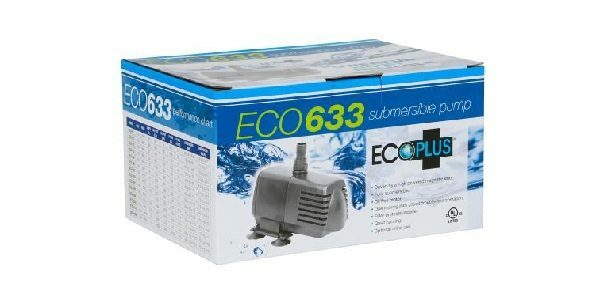 If you are searching for something new and better than you already have, check out the EcoPlus Eco 633 Submersible pump;it is receiving great reviews from passionate fish lovers. The pump comes in different sizes, each with different capacities, thus the price depends on what you need. 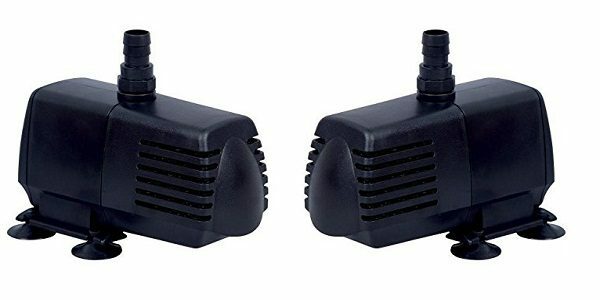 The smallest pump has a capacity of 75 gallons per hour and it costs under $50, so it is suitable for small tanks or large ones where you want to keep the water very calm. If you have a separate tank for fish reproduction you might want to go for the smaller version of the pump, just to ensure they are not disturbed. The largest version of the pump can handle hundreds of gallons of water per hour with a relative price. However, since it has such a large capacity you can place it in a very large tank, in ponds, or fountains. You can buy a medium pump and use it in various tanks, as it will do a great job as well. If you are using the pump for a pond, the design will not matter quite as much since it can usually be hidden. On the other hand, it is submersible so when it comes to tanks you will be able to see it from outside the tank if it’s not hidden behind a decoration. Most people choose to put it on the side of the wall and direct it to the center of the tank. The pump is completely black and compact, so it will not be obvious unless your tank is completely empty. If you want to hide it,use a tall, bushy plant to cover it. If you don’t want to use it as a submersible pump, you can simply place it on dry land and use it in-line. 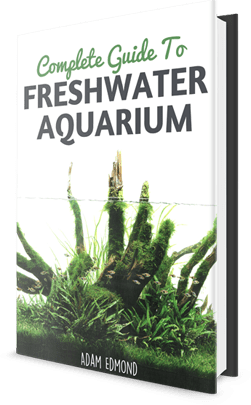 This is used mostly for ponds, but there are no rules when it comes to aquascaping. Not many pumps can be used in both salt and freshwater tanks, but this one can. Since it is covered in a ceramic shaft you can easily place it in your saltwater tank and it will not be destroyed. Many users claim they used this pump in saltwater for more than one or two years and it never stopped working. If you are keeping your tank in your bedroom or office then the noise of the equipment is something you need to think about. The large versions of the pump can make a small noise, especially if they are placed on dry land. However, users say the medium and small versions are completely quiet, especially when submerged. This does not mean the motor is less powerful; as a matter of fact, it can work continuously for months and you will never see a decrease in its power. You have to spend some time researching before you choose the pump that fits your needs since it can be quite pricey to get a large one. You usually only make this investment once every few years, so do not rush into buying the first thing one you see in the store. Discuss with previous users and professionals and see what experience or knowledge they have with this pump. Our research indicated the EcoPlus Eco 633 Submersible pump is truly a good device that you can use without worrying about its capacity or quality.